First Year Experience helps you make the transition into your college career with ease. There are many ways to get involved and make new friends with classroom experiences, online learning modules, and campus events. There is a lot to learn during your first year, so we're here to help you get all the resources you need to thrive and have a successful First Year Experience! I really enjoy going to all the events because we can choose the ones that interest us most, which helps us connect to other students with similar interests. No events are currently scheduled, but you can view the full calendar here. The goal of the Bluprint for a Blugold is simple: to get you connected to your new home. 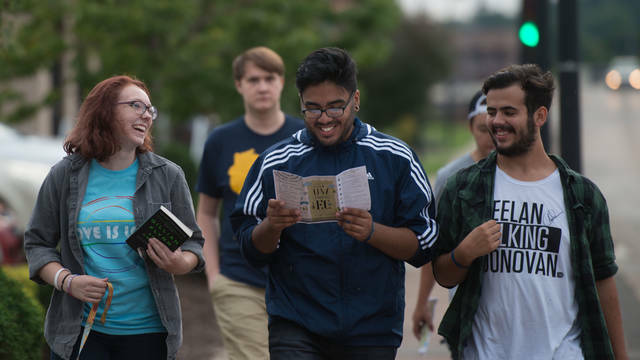 There are five categories on the Bluprint that are designed to best acquaint you with campus and enhance your college experience here at UW-Eau Claire.